Get Me to the Church On Time? But With a DUI…? Comments Off on Get Me to the Church On Time? But With a DUI…? It’s up there with the worst wedding memories ever, probably. 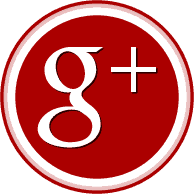 A woman in Marana, Arizona caused a three-car crash not long ago. She was arrested and tested for impairment. That in itself wouldn’t be big news, even in Arizona, which is fairly sane in the drunk driving world. But the woman was wearing a wedding dress, and was on her way to her wedding when the crash occurred. 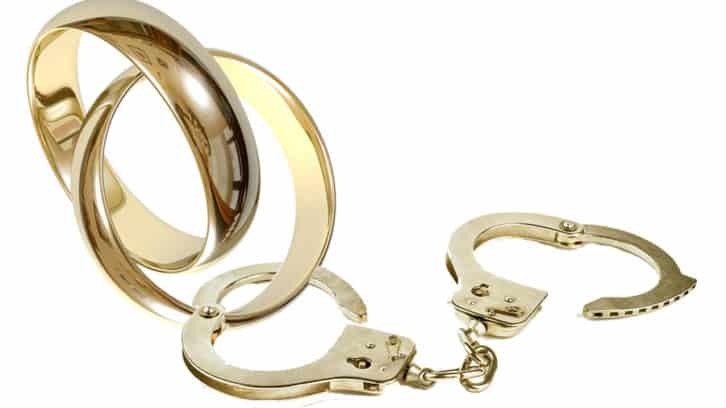 There could have been all kinds of reasons for a wedding day DUI. She might have been drinking that day. Or she might have had a very big celebration the previous night and was still impaired. But why did she get behind the wheel? Perhaps she was in such a good mood that she didn’t think anything bad could happen. In some ways, every DUI incident is a result of this kind of magical thinking. We’ve had too many drinks, and decide to drive. We won’t crash, because we can handle it. We’re not that drunk. We know the roads. We’ll be careful. Arrests and crashes happen on the news, not to me. Magical thinking is comforting, but it doesn’t work. Of the 30,000 or so fatal alcohol-related crashes that occur each year, and the many more alcohol-related crashes that don’t result in death, all of them involved drivers who thought they were okay to drive. Even if they knew they were drunk, they thought they’d find their way home. We weren’t told if the driver in this case made it to the church. If she did, then her wedding anniversary will also be the anniversary of her DUI. Not one for the memory book, perhaps. St. Patrick’s Day is popular with Americans, even those who have not a drop if Irish in their blood. The day is an excuse to wear green, sip green beer, dig up some Sligo fiddle tunes and even nibble some corned beef and cabbage. It’s not the cabbage that causes trouble, though: it’s the beer. The holiday is infamous for drinking, and worse, drinking and driving. 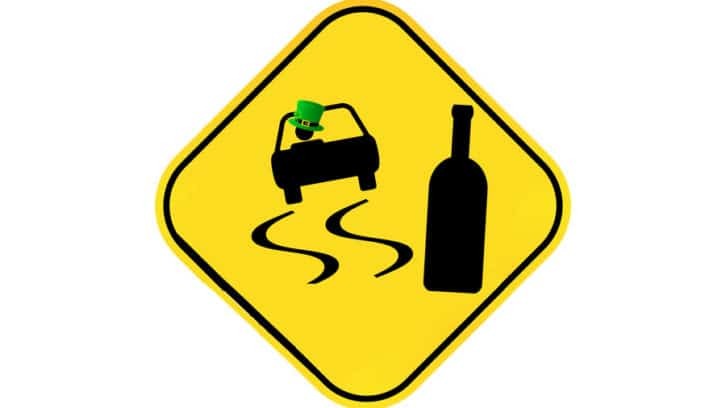 This might be a good time to inform revelers that Ireland itself is not a hospitable place for drunk drivers. Unlike the US, with its comparatively high blood alcohol concentration (BAC) of .08, Ireland prosecutes anyone with a level of .05 or more for impaired driving. The usual punishment is a 2-year driving ban and a fine of 1,500 Euros. Americans sometimes see Ireland as a nation of enthusiastic drinkers, with their Guinness and their Irish whiskey. But getting hammered and driving is not a fitting tribute to the Irish. 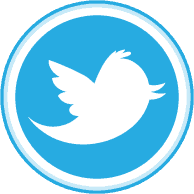 They know better – hence their strict laws – and you should too. This St. Patrick’s Day, make a plan. Line up a designated driver beforehand, or leave the car keys at home and take a taxi to wherever you’re celebrating. And don’t let any of your friends drive drunk either. This March 17th, do like the Irish and show your friends a good time. But leave the wheels at home. A while back we wrote about a bill going through the Arizona legislature designed to deal with the problem of wrong-way drivers. If passed, the law would make wrong-way driving an automatic felony, requiring a fine and traffic classes. The bill has been passed by a Senate panel, and now goes to the full Senate for a vote. No one wants to see a car in the wrong lane, driving at them. It’s a uniquely scary experience, which no doubt accounts for the ease with which this bill is sailing through the legislature. But some voices are not as confident that the law will accomplish anything. The reason: people are usually driving the wrong way because they’re drunk. So stronger measures against drunk driving would probably make more sense than legislating against one symptom of drunk driving, albeit a very dangerous one. Alcohol, then, is a large part of the wrong-way driving problem, and an increased penalty for wrong-way driving is not going to address it, simply because a person getting behind the wheel with a BAC of .15 does not know or care he or she is driving the wrong way until the arrest – or the collision. A more sensible approach would be to better enforce drunk driving laws. Arizona already mandates ignition interlock for all DUI offenses, which is good. An ignition interlock, or car breathalyzer, prevents a vehicle from starting if the driver has been drinking. The state should add to its interlock law compliance-based removal – ensuring that a person with an ignition interlock does not have it removed unless he or she can pass a set number of months with no failed tests. Any attempt to drive after drinking would result in a longer interlock term. No one wants drivers to drive the wrong way. If legislators feel better passing a law against it, then fine. But they will need to keep an eye on the cause of wrong-way driving if they really want to save lives in Arizona. If you carpool, you place your trust in whoever is driving that day. Chances are you’ll get where you’re going, but you never know when the person whose turn it is to drive will show up tired, preoccupied – or drunk. Self-driving cars will fix that. The ones Waymo are working on are already plying the roads of Phoenix. More important, the company says it will be ready to start a commercial service next year, offering self-driving vehicles for commuting and running errands. Recently Waymo has been publicizing its 360° experience, which gives passengers a panoramic view of the road around the vehicle. The purpose of the feature is to make riders comfortable with the idea of being ferried around by a van with no driver – something that still feels creepy to most people. But the more interesting bit of news is the fact that the company is about to put the autonomous vehicles in general service. An End to Drunk Driving? 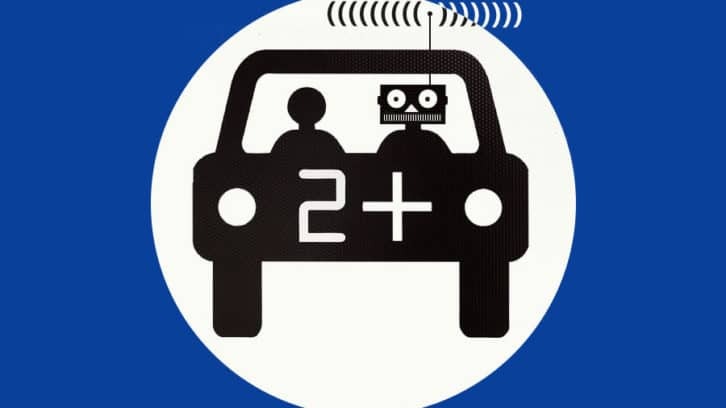 There’s little doubt that a self-driving vehicle is superior to a human. Even if the cars aren’t perfect – and no technology is at first – they will definitely be more reliable than humans at the task of driving. They devote 100 percent of their attention to the road, are never tired or drunk, and don’t have any wrong ideas about the rules of the road. They never get angry or impulsive. Whether humans will accept autonomous cars is another story. Crashes with self-driving cars get a lot of press. 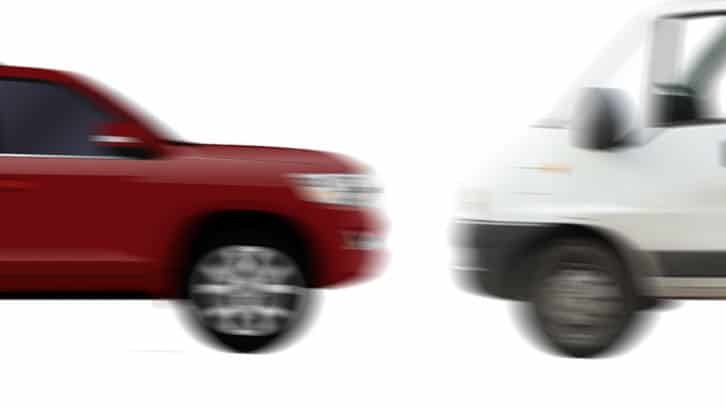 Once a fatality occurs – and it will happen – the real controversy will begin. Proponents will point to statistics – the number of fatalities will be much lower in percentage terms – but statistics don’t always win the battle. Until Waymo’s self-driving cars are proven safe and put in service, we have other means of keeping drivers, passengers and pedestrians from harm. We have drunk driving laws, BAC limits, and ignition interlocks to prevent people from starting their vehicles when they have been drinking. Perhaps they won’t be needed one day. That’s fine. But for now, let’s keep at the fight against drunk driving. The time when all cars are autonomous is a long way off. In the meantime, it’s up to plain old, low-tech humans to enforce ignition interlock laws and keep the roads safe. Do You Punish a Restaurant for Serving Drinks That Killed a Man? Comments Off on Do You Punish a Restaurant for Serving Drinks That Killed a Man? Last September a Chevrolet driven by a man named Robert Kite flew off an elevated highway ramp onto the road about 300 feet below. Robert Kite, a father of six, was killed instantly. Since his blood alcohol level was 3 times the legal limit, the North Carolina ABC (Alcoholic Beverage Control) Commission looked into the situation. It turned out he had ordered 17 shots of bourbon in the 4 hours before driving. The bar where Kite did his drinking, the Wild Wing Café in Aynsley, had offered to pay a $1,000 fine. The ABC Commission rejected the settlement in light of the revelation that the bar had served Kite 17 shots. The bar claims that Kite did not drink all 17 shots of Maker’s Mark bourbon – they were just on the bill together. But the ABC notes that no one else was drinking that brand of liquor. Dram shop law is the term used for laws which determine a commercial establishment’s liability when someone drinks and causes harm. North Carolina is among the US states which have a dram shop law. The law prohibits the saleIt states that it is unlawful to sell alcohol to an intoxicated person. 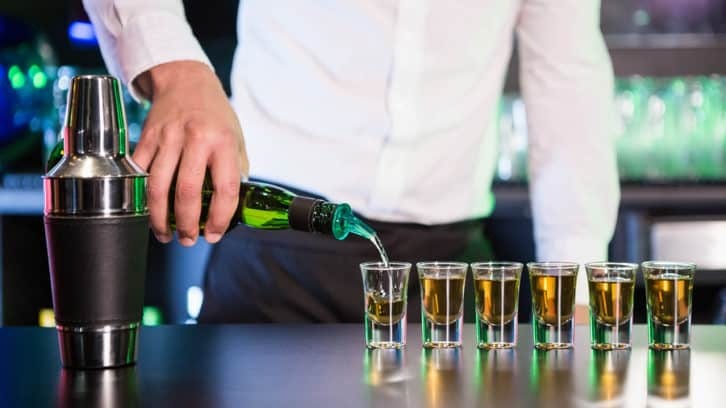 North Carolina laws allow a bar to be held liable if it serves alcohol to a customer who is visibly intoxicated and who then injured or kills someone in a collision. According to North Carolina dram shop laws, then, the onus is on the server This opens up another question: to what lengths should a server go to in order to ensure that a customer is not drunk? The $1,000 settlement will not fly, so the ABC will try to negotiate another one with Wild Wing Café, and this one will involve a higher penalty. How high can and should that penalty go? While a number of Arizona’s road safety laws could use some improvement, it’s well known that the state’s drunk driving laws are fine specimens that other states should imitate. 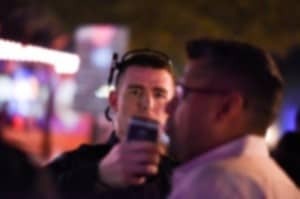 One of the ways in which Arizona deals with the problem of impaired drivers is to put some thought into classification: not all drunk driving crimes are created equal. Arizona police can charge you with one of 3 types of DUI, depending on your blood alcohol concentration (BAC). If your BAC is at least .08 but below .15, you will face a standard DUI charge. This is a serious crime whose penalties include jail time and fines of around $1,500 for a first offense and more than twice that for a repeat offense. An ignition interlock is required for all DUIs in Arizona as well. If you are arrested with a BAC of between .15 and .19 – a very serious level of impairment which makes the driver a lethal hazard on the road – you will be charged with Extreme DUI. In this case you could be imprisoned for a month and pay over $3,000 in fines plus other fees and costs – and that is only if it’s a first offense. In addition, you will have an ignition interlock for 18 months. If the extreme DUI is a repeat offense, expect to spend up to 6 months in jail and pay fines exceeding $3,700. This charge is somewhat rare among US state laws. If you are arrested and your blood alcohol test reveals a concentration of above .20 – two and a half times the legal intoxication limit – you are in serious trouble. Jail time is 45 days, though home detention is a possibility after a few days. For repeat offenses, the jail sentence can be 6 months, with fines of about $4,600 plus other costs. Screening for alcohol abuse problems and, if applicable, treatment is also a requirement for all of these offenses. For most of them, a community service requirement is also part of the package. There are a number of ways to judge the severity of a drunk driving offense. One is whether or not the driver caused property damage or injury. Another is whether a minor was put in danger. In fact, aggravating circumstances like those will have an effect on the sentencing as well. But blood alcohol concentration is the primary gauge of DUI because the worse the impairment, the more likely that someone will come to harm. 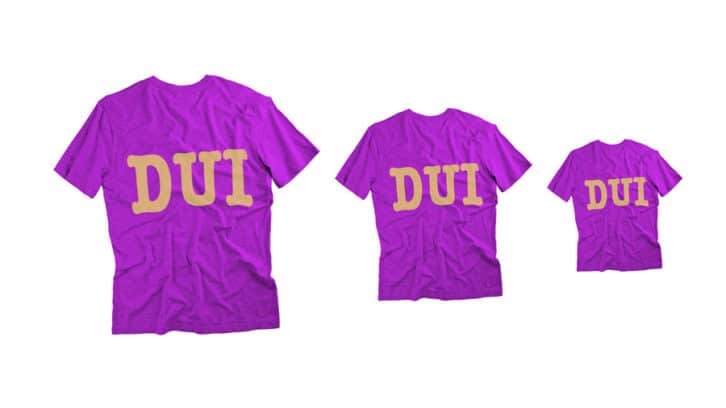 Statistics back that up, and Arizona is right to bump up penalties for high-BAC DUIs. All drunk driving, however, is a crime, and enough people are killed and injured by people with a BAC in the low range that those offenses need to be taken seriously as well. Over the ten years between 2007 and 2016, alcohol-related crashes in Arizona have gone from almost 8,000 per year to less than 5,000. Deaths have been lowered from 397 to 302, and injuries from 5,532 to 3,324. That’s a testament to Arizona’s determination to fight drunk driving with strong laws – including an all-offender ignition interlock law and extra penalties for extreme and super-extreme DUIs. Is Arizona Targeting Wrong-Way Drivers the Right Way? 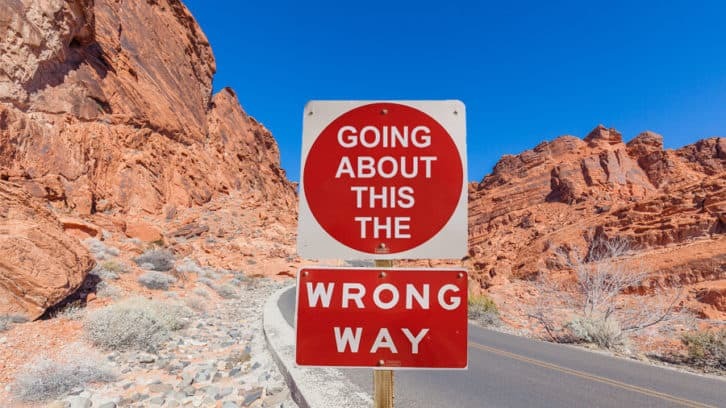 Comments Off on Is Arizona Targeting Wrong-Way Drivers the Right Way? Few things are scarier on the road – for good reason – than seeing a driver come at you on your side of the road. Wrong-way drivers cause collisions that take a particularly horrific toll, and Arizona legislators are concerned that there are too many of them in the state. Which is why they’re proposing new laws to stop this lethal practice. According to news reports the Governor, Doug Ducey, has recommended adding more troopers and a special patrol to focus on wrong-way drivers. 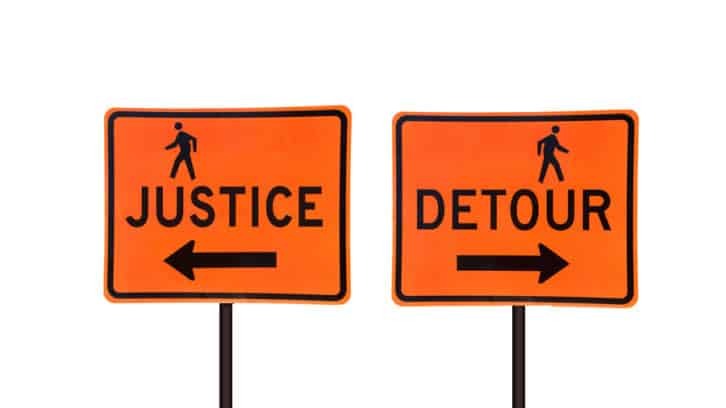 A bill is also in the legislature which would make wrong-way driving an automatic felony. The measure, House Bill 2243, would mandate a fine and traffic classes for anyone caught driving in the wrong direction. Another legislator has proposed installing spikes on certain well-traveled roadways which shred the tires of wrong-way drivers – such spikes are used in rental car lots to keep people from stealing vehicles. But such spikes would be dangerous to ambulances and other assistance vehicles which sometimes need to drive against traffic to reach a collision scene. What Causes Wrong Way Driving? The problem with these measures is they don’t get at the cause of wrong-way driving, which is usually impairment. If you see a wrong-way driver, the chances are good that he or she is drunk. And since drunk drivers are not aware that they’re driving in the wrong direction, they’re not going to be deterred by fines and felony charges. Preventing drunk driving, therefore, is a wiser cause of action. Enforcing strictly the state’s ignition interlock laws will keep many DUI offenders from driving drunk. Patrols should be on the lookout for drunk drivers before they turn into wrong-way drivers. Older drivers are also over-represented among wrong-way drivers. Again, felony punishments will be less effective than better screening of older drivers in the first place. It’s good that Arizona lawmakers are talking about ways to keep people safe on the road. But they should focus on the cause of the crime, because by the time it occurs, it’s often too late to prevent a crash. Can a Man Kill a Mother of 2 and Escape Arizona Prison? Comments Off on Can a Man Kill a Mother of 2 and Escape Arizona Prison? A man drives recklessly, killing a mother and injuring her two small children. And he spends no time in prison. It doesn’t seem fair. And in fact, it isn’t. 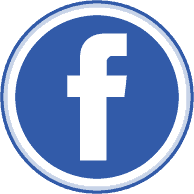 It happened in Chandler, Arizona – a man named William Epperlein failed to see a red light. He had a long history of DUI, speeding, and other traffic violations, and did not even have a valid license, so it would seem that the court would throw the book at him for this egregious misstep. But the court declined to prosecute. The reason was a technicality centering around the difference between a suspended license and a revoked one. Epperlein was to have his license revoked for his DUI, which would have made his more recent fatal collision a prosecutable offense. But he made a deal: purchase SR-22 insurance (an expensive insurance designed for high-risk drivers) and meet other restrictions and he could keep the license. In fact, Epperlein blew off the SR-22 insurance, which resulted in a suspended-but not revoked- license. Driving on a suspended license is not as serious as driving with a revoked one. A curious Arizona loophole, but one through which justice was lost, according to the family of the victim, Pamela Hesselbacher. House Bill 2522 might change that. The bill would hold all repeat offenders who cause collisions leading to death or injury liable for their actions. It’s too late for Pamela Hesselbacher, but the bill is a sensible one, designed to protect innocents on the road. It’s time to close this Arizona loophole and hold offenders responsible for the damage they do. Is a DWI on a Moped Possible in North Carolina? Yes! Comments Off on Is a DWI on a Moped Possible in North Carolina? Yes! A lot of people are riding mopeds in North Carolina because they have DWIs. Since no license or insurance is required to drive a moped in the state, the scooters are a logical means of transport for someone who’s lost his or her driver’s license. The last thing you’re thinking about is the possibility of a DWI on a moped. But it’s very possible. Just because you need no license to pilot a moped, that doesn’t mean you can drunk-drive it with impunity. A Raleigh man found this out recently. The man was riding his moped when he fell and injured himself. Police arrived and charged him with a DWI. Even though you don’t need a driver’s license to operate a moped in North Carolina, the state’s impaired driving laws still apply. License or not, a moped is considered a motor vehicle according to the statutes. What Keeps People From Driving Drunk? Interlocks! 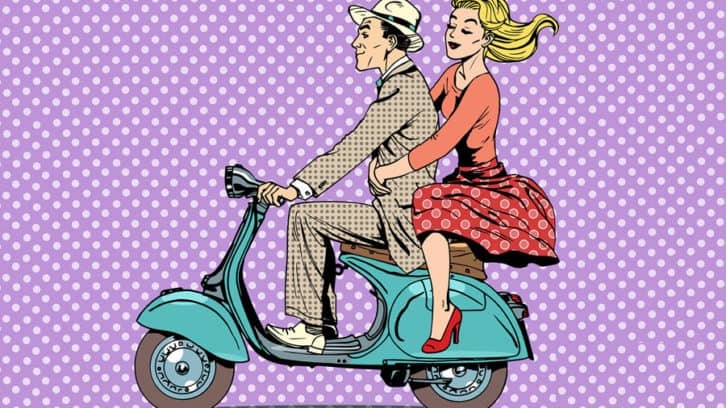 Substituting a moped for a car was one man’s method of dealing with license suspension. The sad fact is that most people deal with license suspension by ignoring it and driving their regular vehicles. Statistics tell us that half to three quarters of suspended drivers get behind the wheel at some point. Those that tend to drive while impaired will do so, valid license or not. That’s why the ignition interlock was invented. An ignition interlock, or car breathalyzer, prevents a vehicle from starting if the driver has been drinking. Currently 30 states mandate the devices for all drunk driving offenses, and some require the interlock from the time of arrest – not after conviction. That ensures that the offender will not be drinking and driving. A DWI on a moped is no joke – fines, imprisonment and other penalties apply. Remember that in cases like this, it’s a repeat DWI offense. Everyone in this case would have been better off if the offender had been in his regular vehicle with an ignition interlock instead. No other measure (apart from imprisonment, which is extreme and also costly to the taxpayer) ensures that a driver will be sober while he or she is behind the wheel. North Carolina should mandate ignition interlocks for all offenders, as 30 other states already do. The Governor’s Office of Highway Safety has been doling out wads of cash lately. The recipients are agencies that promote highway safety in all its forms. 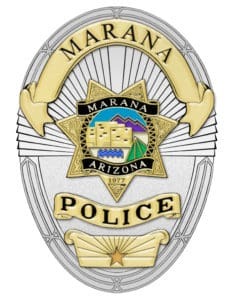 Recently the Marana Police Department received, among others, a $15,000 grant to expand its programs that raise awareness of the effects of alcohol. It’s called the Know Your Limit grant, after the program of that name. The program stations officers at large gatherings where people drink, such has festivals and sports events such as last year’s Phoenix Open. Passersby are asked if they know what their blood alcohol limit is. Then they’re given breathalyzer tests to see if their estimate is correct. It rarely is, and many people find they’re over the .08 legal intoxication limit. The program can be a revelation to many drinkers who don’t realize how strong alcohol is or how impaired they actually are. Programs like Know Your Limit are vital because people usually estimate if they are “okay to drive” based on faulty criteria. If they have only had one or two drinks, or are steady on their feet and can speak without slurring their words, they assume they’re sober enough to be on the road. In fact, almost any amount of alcohol causes some impairment, and that impairment is very much in evidence well below the .08 threshold. 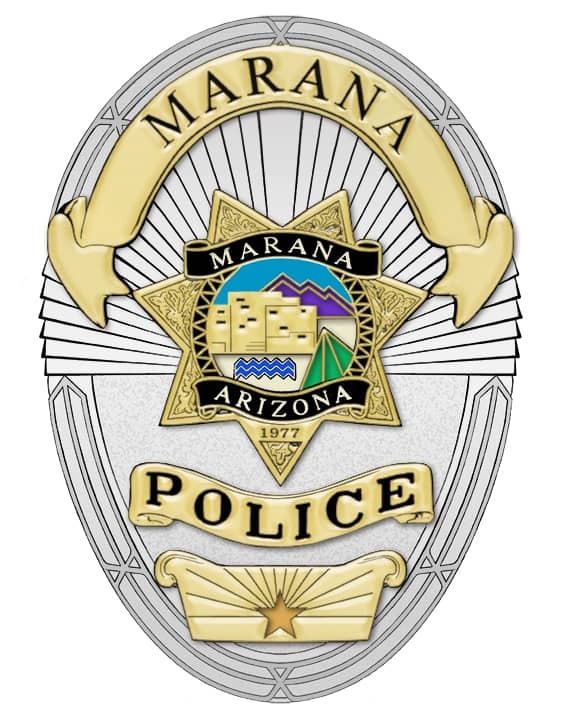 If, thanks to the Know Your Limit grant, a few thousand citizens of Marana get a true picture of how alcohol affects them, and as a result some of them might they skip driving. That $15K will then translate to lives saved. Our thanks to GOHS for doing Marana a solid.